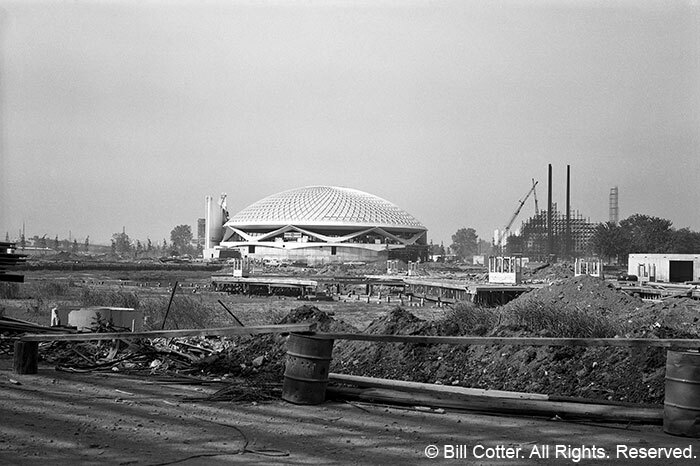 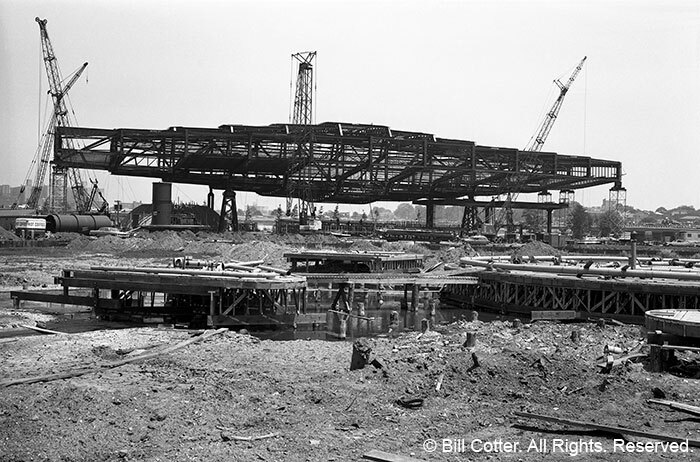 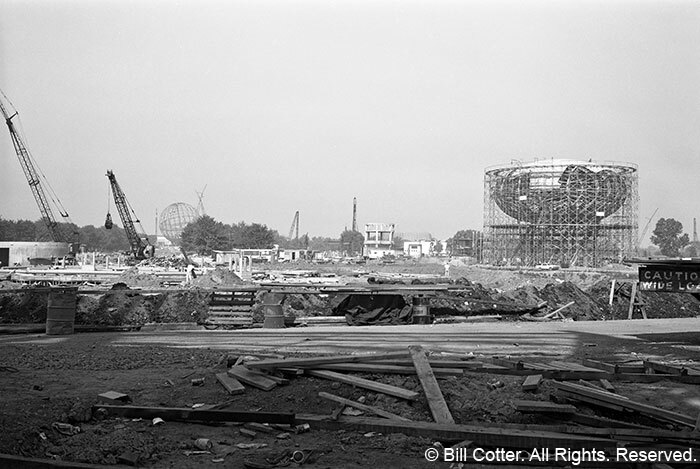 Building the Bell System pavilion was truly a massive undertaking. 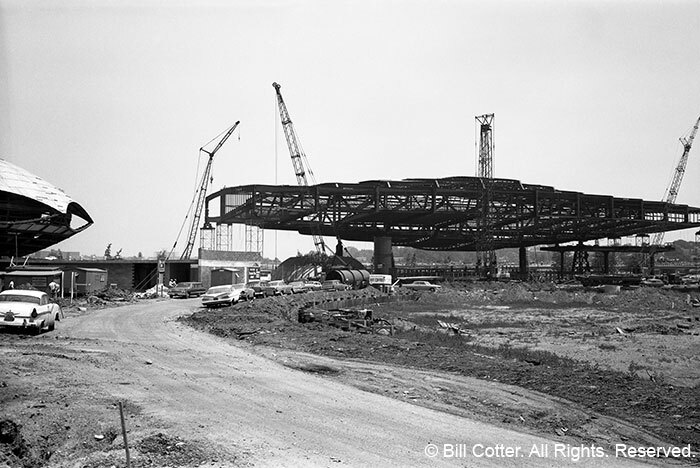 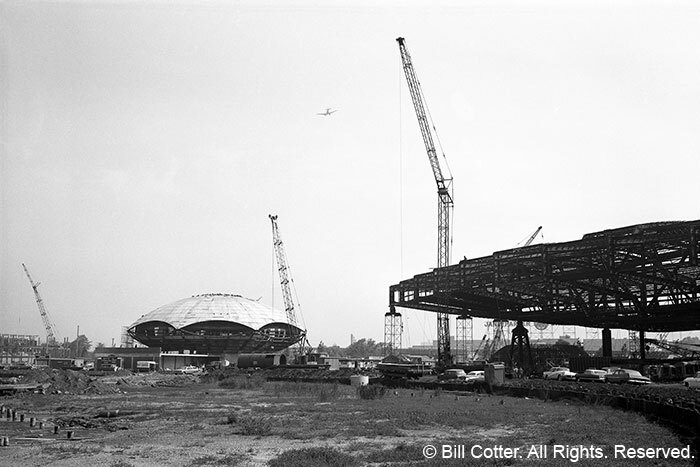 The main structure was an elaborate weave of massive steel girders, as seen in this view from June 26, 1963, and required the expertise of a bridge building company to set it all in place. 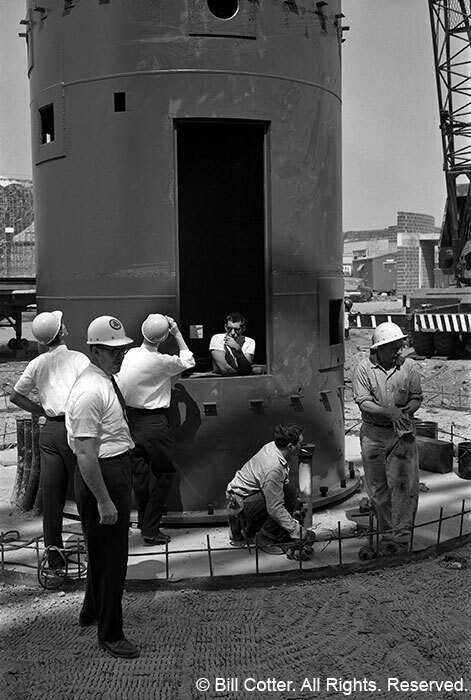 Even seemingly small tasks, such as erecting a microwave tower, were actually significant undertakings. 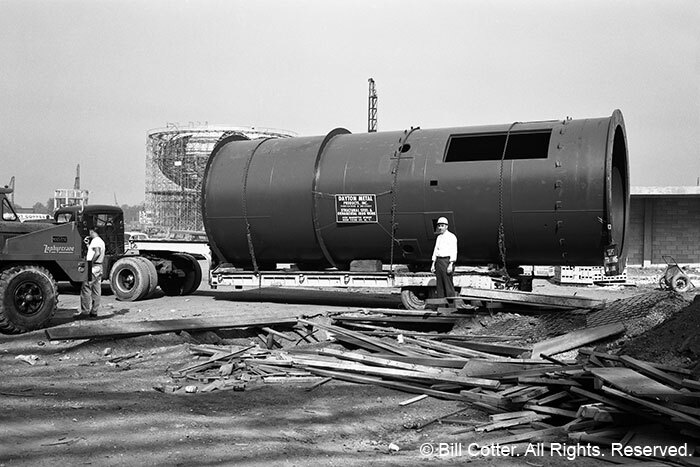 The photos on this page show just some of the steps in that process. 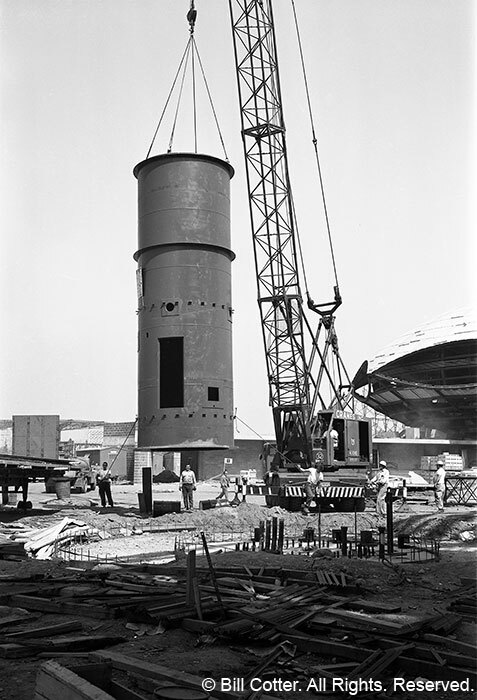 Much more work was needed to get the tower ready for use, including covering it in panels that concealed the steel tube, and a great deal of wiring. 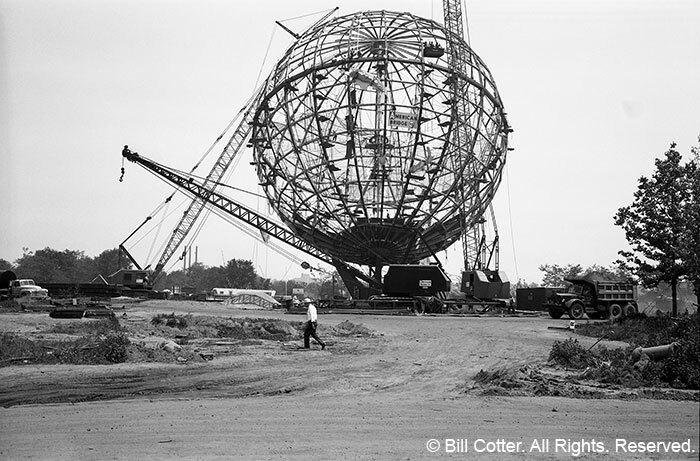 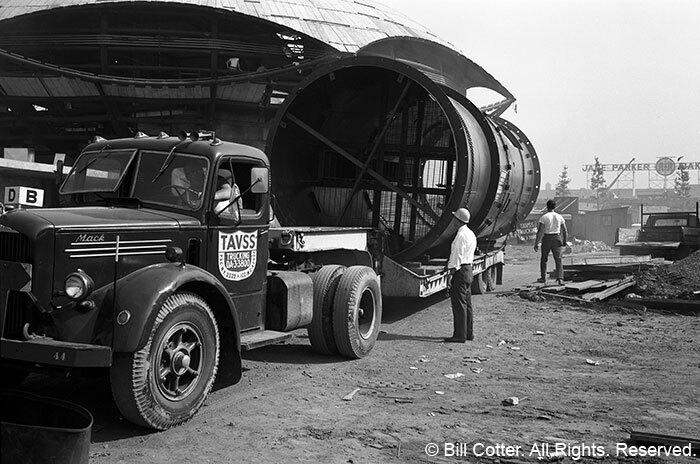 There was a lot of pressure to get this job done on time, as most of the Fair's telephone and video circuits needed it to connect to the outside world. 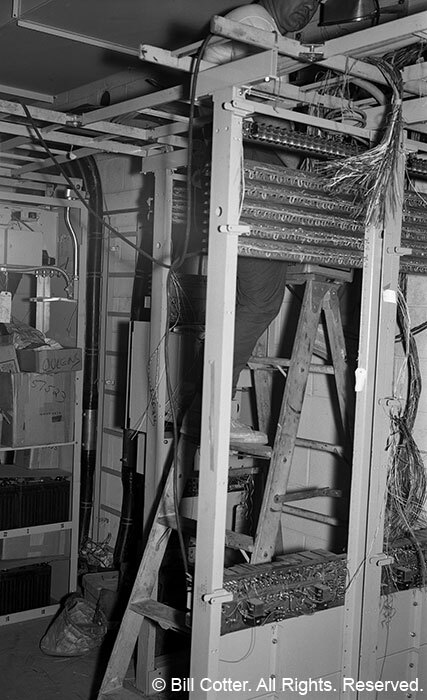 The Bell System rose to the occasion and the facility went online as planned.